Reims, France, 1969. Paul Coutard is a 30-year-old sports journalist at daily newspaper Le Champenois. Charming, childish and a womaniser, he does exactly what he pleases. Then one day, his boss forces him to plan the newspaper’s annual fair together with Emmanuelle Bruno, the discreet and beautiful executive assistant. Paul has the crazy idea to organise a women’s football match for the first time. With Emmanuelle’s help, the project grows to unexpected proportions, as does their romance. 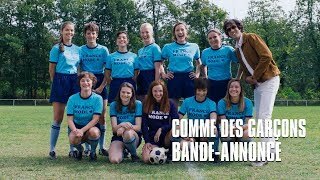 Along with their unique team of female players, Paul and Emmanuelle will turn the French football world upside down.